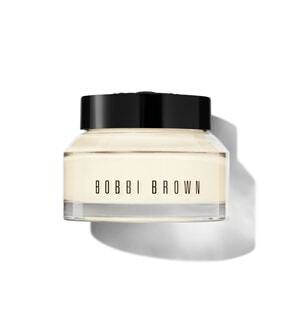 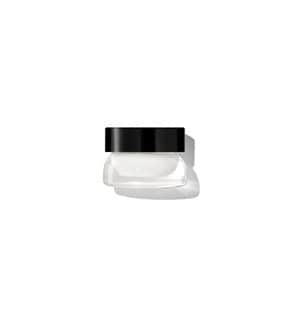 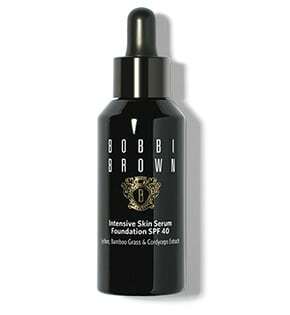 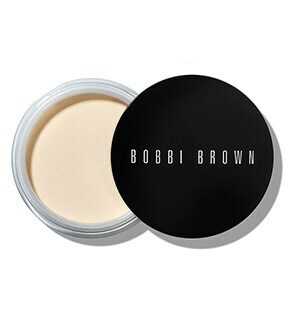 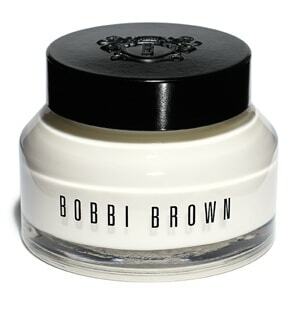 Pat Hydrating Eye Cream under eyes, then apply Vitamin Enriched Face Base to clean skin. 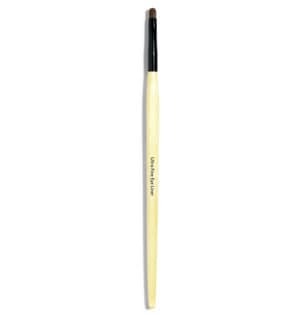 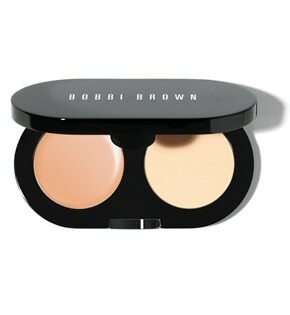 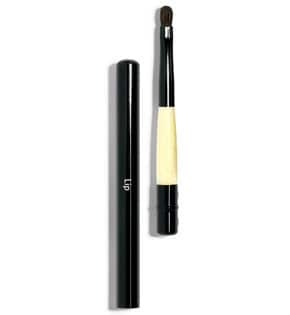 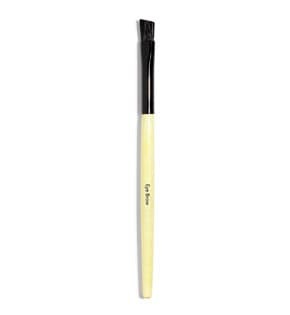 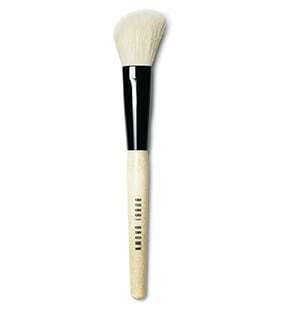 Apply Creamy Concealer in Natural to undereye area with the Concealer Brush. 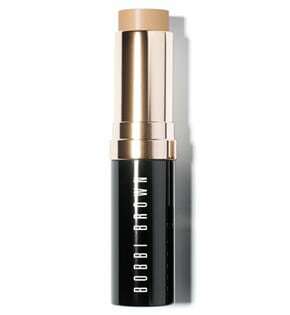 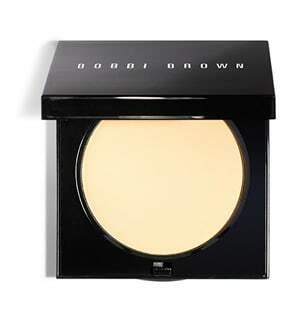 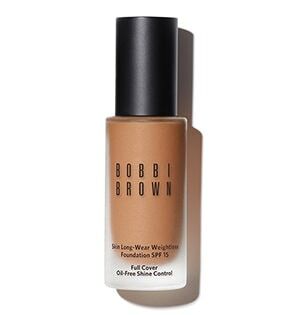 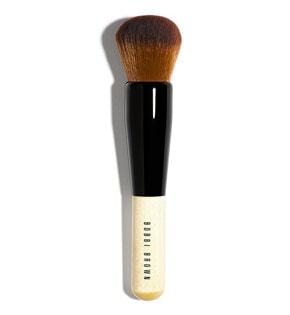 Buff Skin Long-Wear Weightless Foundation SPF 15 in Natural Tan onto skin with the Full Coverage Face Brush. 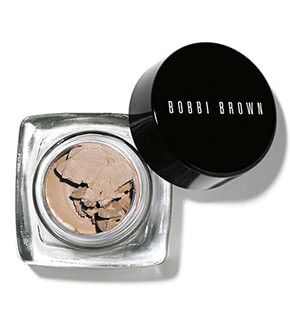 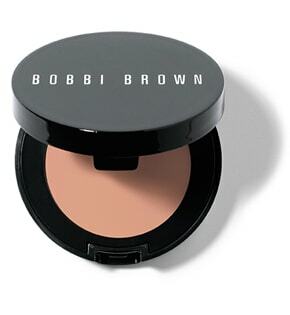 Top with a dusting of Retouching Loose Powder in Peach. 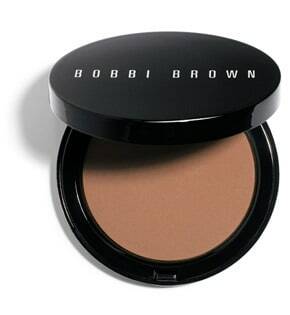 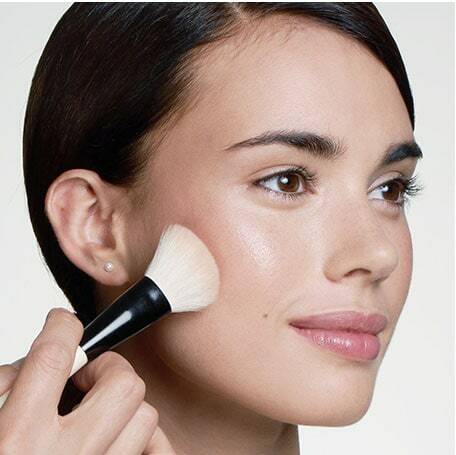 Apply Bronzing Powder in Stonestreet to the high points of the face with the Bronzer Brush, then apply Blush in Pale Pink to cheeks with the Blush Brush. 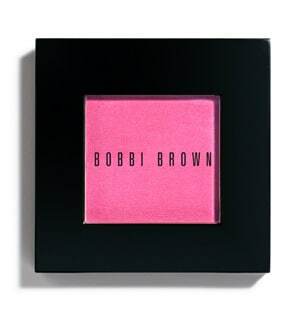 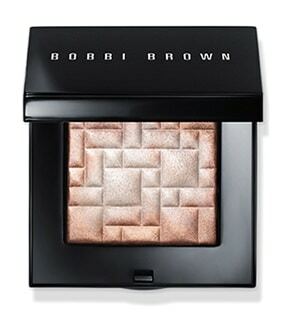 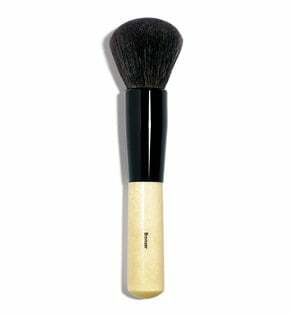 Add radiance by sweeping Highlighting Powder in Pink Glow onto cheekbones with the Angled Face Brush. 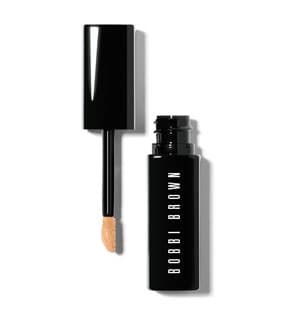 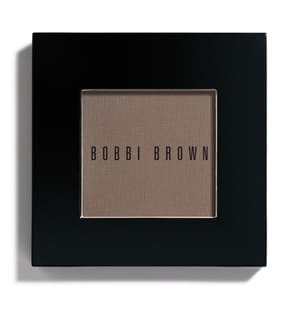 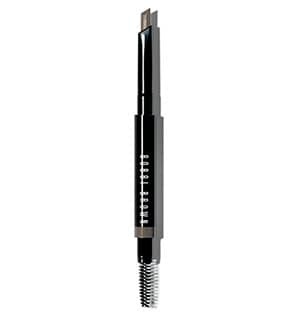 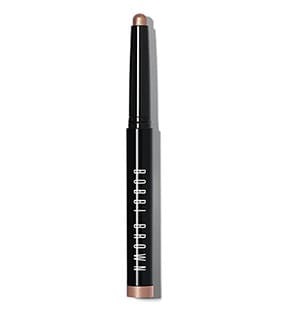 Fill in any sparse areas of brows with the Perfectly Defined Long-Wear Brow Pencil. 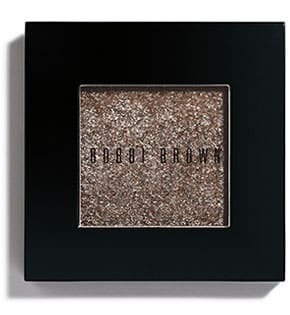 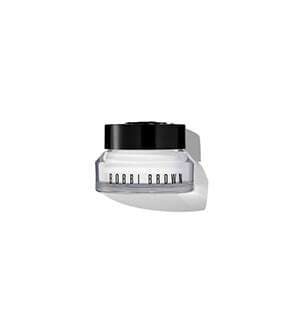 Apply Sparkle Eye Shadow in Silver Moon to lids with the Eye Shadow Brush. 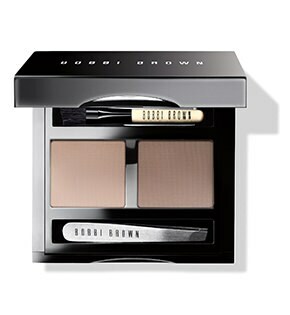 Using the Angle Eye Shadow Brush, blend Eye Shadow in Taupe into creases, then smudge onto lower lashlines with the Smokey Eyeliner Brush. 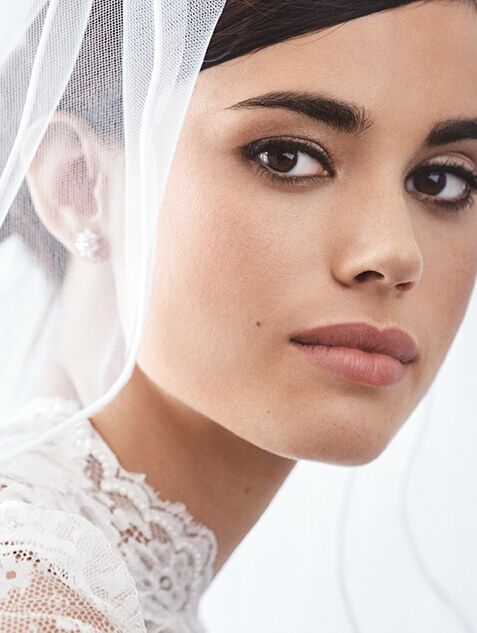 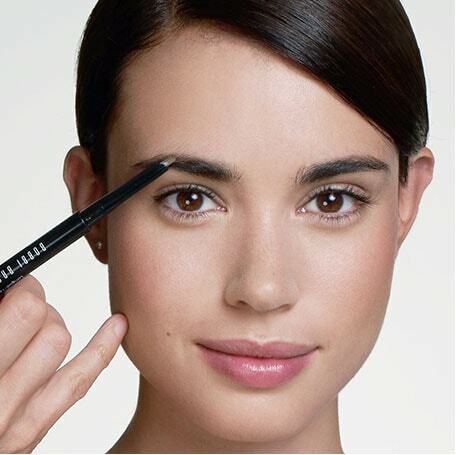 Trace upper lashlines with Long-Wear Gel Eyeliner in Black Ink using the Ultra Fine Eyeliner Brush, then smudge Eye Shadow in Espresso on top. 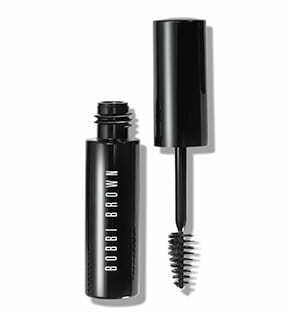 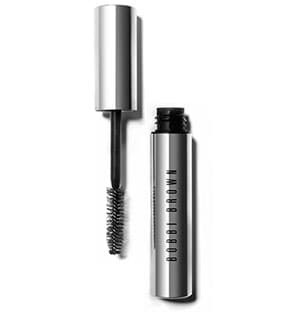 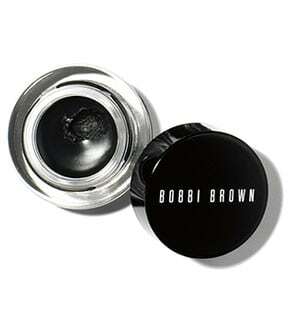 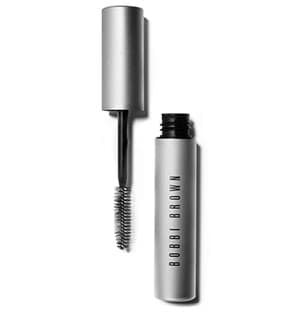 Brush on two or three coats of Smokey Eye Mascara and one coat of No Smudge Mascara for tear-proof wear. 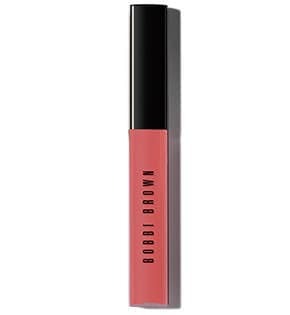 Finish by applying Luxe Lip Color in Uber Pink with the Lip Brush. 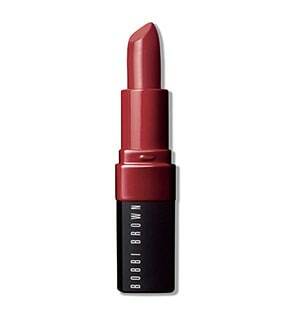 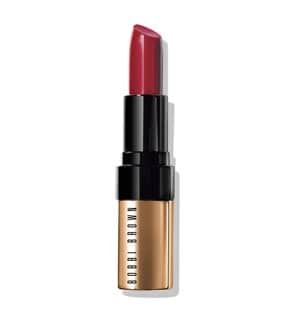 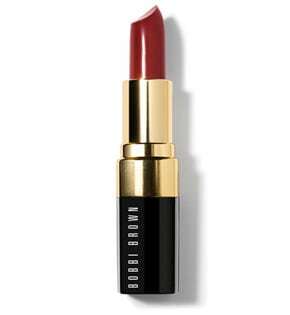 For an optional high-shine finish, top with Lip Gloss in Petal.